Boats that follow me home. This started out as a restoration of a Triton that was only weeks away from being broken up for the dumpster and lead keel sold. But there are to many boats and so little time. So now I have a Siren 17, Luger 16, and plans to build a Tiki 30 and Hitia 17. I put together a short video of my ride over on YouTube. My absolute favorite section was the dawn. I really do love riding early, early morning and seeing the sun rise and on this morning it was beautiful, which the camera can't fully capture. Another note I forgot on the video, Mt Katahdin is the norther end of the Katahdin Trail. Looks like those hikers could get a grand vista finish reward! My Southern Fleet is gone. Ray sold the Wayfarer for a tidy profit so I'm not complaining. Actually it's a great thing when you can flip a boat/car/MC and actually be a few shekels ahead! 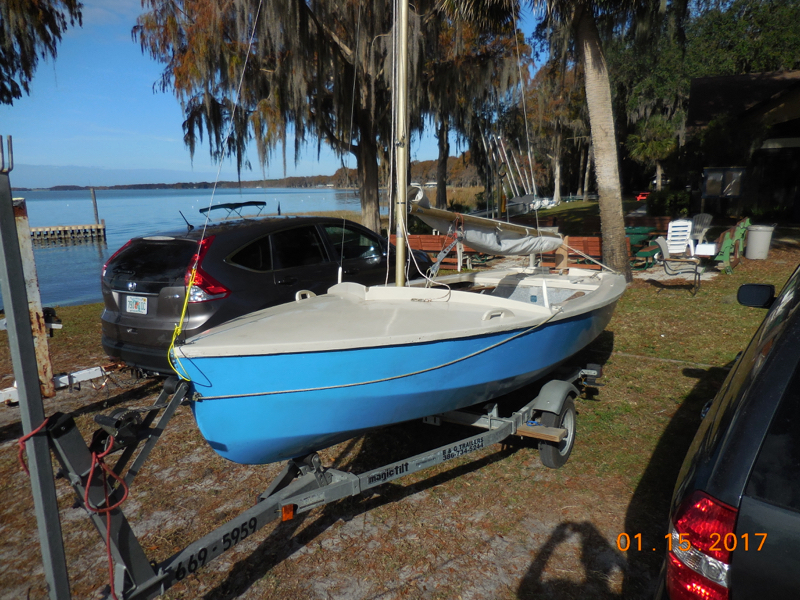 Also the boat sold locally and the good news is it's staying at Lake Eustis Sailing Club expanding the Wayfarer racing fleet. 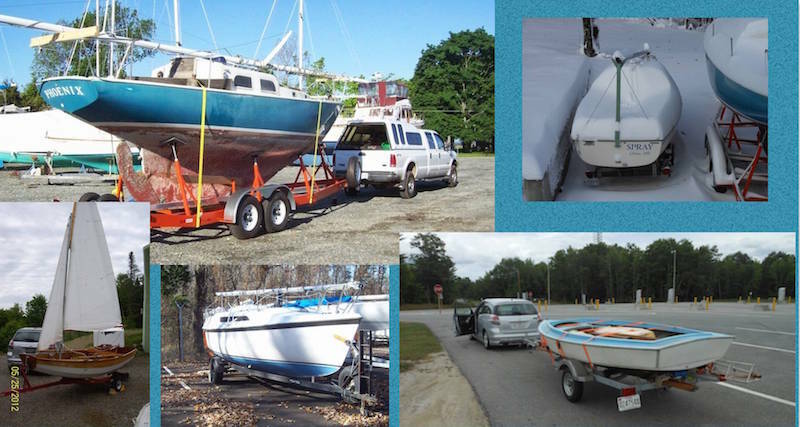 Well half the fun is searching and buying the next boat. IronButt Saddle Sore 1000 completed. A nice sense of satisfaction. 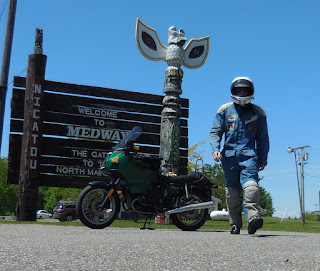 After hours and hours of repairs and upgrades to my 1981 BMW R100RT I made the Summer Solstice ride. 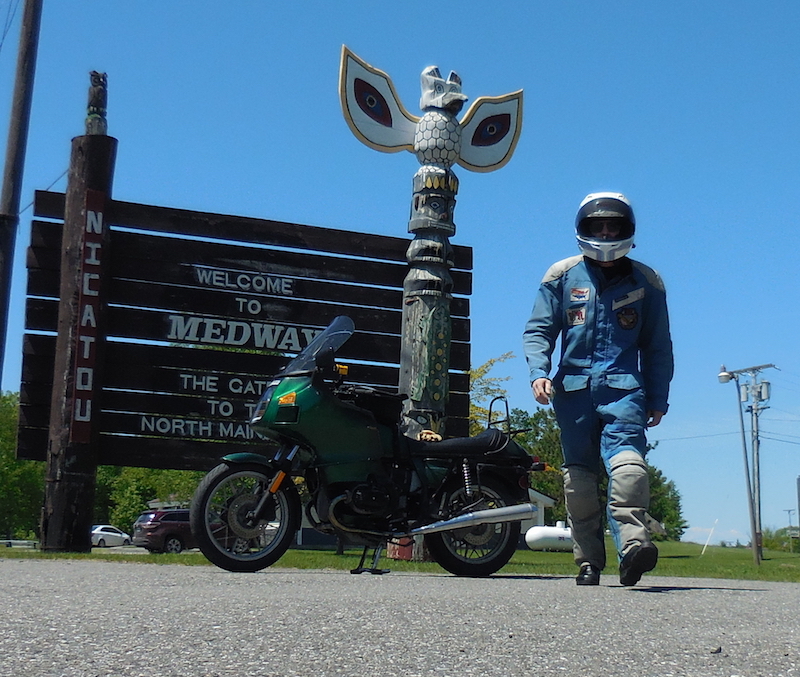 It was an IronButt Association Saddle Sore 1000 miles in less then 24hours, done on the Sumer Solstice and in a Single State(Maine). Start at 2:16am Belfast Maine Circle K about 13 miles from home. Finished at 8:05PM about 18miles from home. 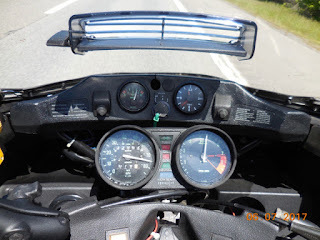 I departed my home about 01:50 and returned at 20:33 on June 21,2017 after 1022 miles of official SaddleSore 1000 riding. Then add in about 31 miles to/from my official start and finish made for a long day! Next adding a 4 gallon Aux tank to my beefed up rear rack worked like a charm. When riding very early morning in norther Maine gassing up can be dicey. But really the freedom when you have well over 350miles in range is wonderful. I could make my fuel stops quick and my rest stops restful. I usually only added 2 to 3 gallons to the aux tank, then I'd burn the aux tank out before switching to that wonderfully big 6.3gallon main. Even so my longest refuel period was 320miles from Caribou to Kennebunk. Also IronButt requires Business Dated Receipts no greater then 350miles. Added two 90deg angle aluminum verticals and a cross from the luggage racks to add support to the basic trail rack that is attached to the seat cowling. I used the same angle aluminum to locate the tank and a ratchet strap to secure the tank. I also added a piece of ply wood to give the tank full support under. And the extra support for the rack is easily removed with two bolts. Finally the R100RT is a great long distance runner. With the windshield at its lowest I can see clearly over it and have enough wind to keep my face shield rain free. Then add that great RT fairing design and a quite calm pocket and this machine is made to cruise. Granted this old girl can't compare to my last Goldwing GL1800 with it's turbine like motor and power this and that, I still would rate this RT about 90 on a 100 scale where the GL is 100. Funny thing, I spend several hours wiring up my old AutoCom wired intercom w/audio input. I really wanted to have my Podcasts. I'd saved 4-5hours of my favorites plus many hours of my 60-70 era music. But I did not turn it on once. But I'm not a full on luddite so I did have an IPad2 running tracking SW which then is used for IronButt validation. But is was just stuck in the tank bag and forgotten. Here is the track, BMWSailor I also used a Garmin eTrex 20 GPS for mileage and found out my odometer reads about 1% low! Every other Car/Bike I've ever seen has read high. But the Speedometer is spot on, not the usual 5-10% over that I've seen. Half a boat this time. 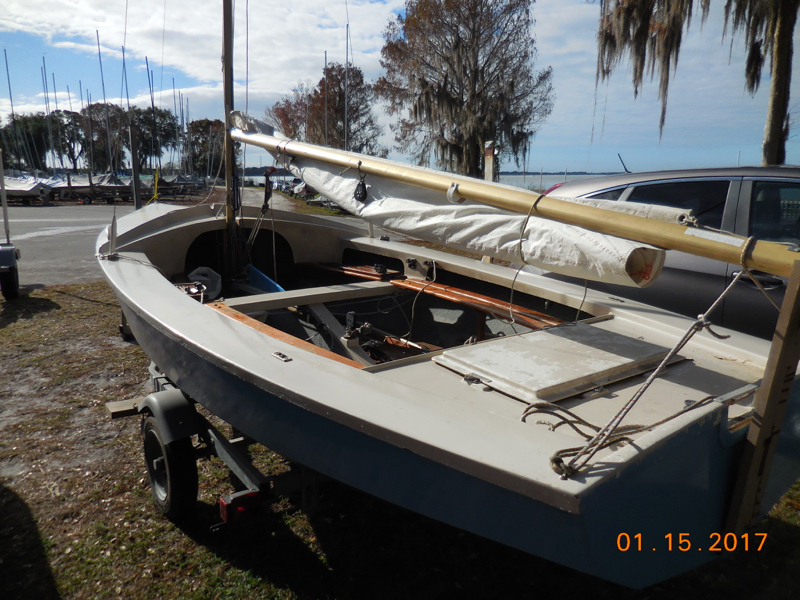 The guy, Ray, that I crew for on a Flying Scot and I bought a rough 1974 Wayfarer 16'. The idea is to fix it up and then flip it, but also so I can get some helm time during off FS race weekends. While it's a pretty ugly boat with a sloppy amateur paint job pealing away, it is solid and set up for racing. 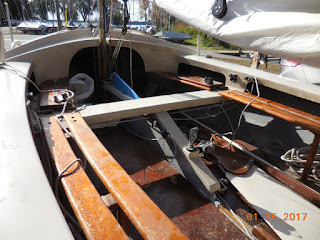 Even so, some old hardware, most of the control lines and sails need replacing. After a few hours of fixing we floated her and ran in 3 races. I crewed on two and helmed the last, which to my ego stroke we were closest to the fleet and not last :) But really it was just learning the boat. Then Saturday I raced her solo. Wow was I busy and still found another list of "fixes". 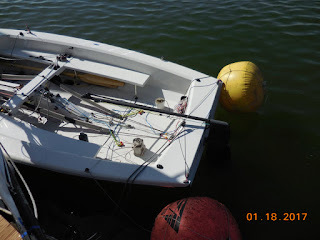 First was storage of the whisker and spinnaker poles, twice while climbing to windward after a tack I slipped on those poles and hurt delicate body parts. But it was a good first day out, wind was gusty from flat to hiked out burying the rail and with only a couple tel-tales on the jib to help the wind was also swinging through about 30degs while slowly backing N to NW over a 3 hour period. I'm hoping to find some low hour 2nd sails during the Wayfarer Mid-Winters Championship Regatta this coming weekend. If not, I'll bite the bullet and buy some new sails. I'll never know how good I can be with old bedsheets, New or very new sails are a must otherwise "my old sails" are the built in failure excuse. Now here is how a somewhat serious racing Wayfarer is rigged. Finally the Luger holds it's own weight! With all the distractions this season my only real goal for the Luger was to get the hull strong enough to hold it's own weight before the winter non-building season set in. Made it with a few days to spare. Originally I was thinking of just two fore/aft stringers but the point load when I lowered it on to the flat trailer still caused the centerboard area to hogged inward. So I added (6) six inch long diagonal stringers, one aft and two forward of the CB slot each side. This works fine. Eventually a couple full and partial bulkheads will be added and the hull will be plenty strong. But for now she is in winter storage waiting for spring. My wife and I took 2 week vacation to England ostensibly to deliver our niece to a semester at Pendle College at Lancaster University. Our niece is majoring in Statistics, she is one smart cookie! These boats were a wee-bit to big to get into the overhead racks on the airplane. WW1 HMS M.33'S PEOPLE in original Dazzle paint scheme. This English ship should need no introduction! Draft: Centerboard up, rudder off, 4"; w/rudder only 18"; CB down 35"
Weight: Ready to Sail, 400lbs w/plywood rudder and CB. Sail Area: Main, 107 sqft; jib, 43 sqft. ; Total, 150 sqft.